While bird migration occurs year-round, from late April through early June millions of birds journey north from their wintering grounds. Some will stay and nest here, but many will only stay in our area long enough to feed and replenish their strength before heading further north. As a result it is possible to observe over 100 species of birds in a single day. To celebrate this phenomenon Loudoun Wildlife Conservancy is sponsoring a number of bird walks, all of which start at 8:00 a.m., at hotspots throughout the county from April 27 through mid-May ─ the peak of migration in our area. Join us for one or more of these walks. Registration is required for all but the Banshee Reeks and Blue Ridge Center walks. Please click on the event name to register. — Blue Ridge Center for Environmental Stewardship — Saturday, April 27. The center, a future state park, is 894 acres of diverse habitat consisting of vernal pools, meadows, ponds, streams and a rich oak-hickory forest in northwestern Loudoun County. Not only does it border the Appalachian Trail, it is only a couple of miles from the confluence of the Potomac and Shenandoah Rivers. It serves as a wonderful sanctuary for Loudoun wildlife with numerous bird species utilizing its richness. – Goodstone Inn & Restaurant — Saturday, April 27 (rain date May 3). Join Mary Ann Good and Linda Millington for a bird walk at this private country estate in southwestern Loudoun. Goodstone has trails along the Goose Creek and in surrounding fields and old woods just a couple miles north of Middleburg. Meet at the lower parking lot of the Inn. Limit 15. – Bles Park ― Sunday, April 28. Join Allison Gallo and Bryan Henson on a search for birds at this popular large park in eastern Loudoun bordering the Potomac River. The rich bottomland forests, extensive wetlands, and grassy areas that comprise the park are home to numerous species of birds. Limit 20. – Blackburn Trail Center on the Appalachian Trail — Wednesday, May 1. Join Joe Coleman and Mary Ann Good for a walk at the Potomac Appalachian Trail Club’s Blackburn Center and the nearby Appalachian Trail. Because of the heavy forest this can be a good location for deep-forest inhabitants such as thrushes and warblers. While the Appalachian Trail is relatively level in this area, the ascent up to the trail from the center is steep. Because of limited parking at the Blackburn Center we may need to meet in Round Hill and carpool to the center. Limit 12. – Beagle Club/Institute Farm — Saturday, May 4. Join Emily Southgate and Linda Millington who, with special permission, will visit the Institute Farm, the home of the National Beagle Club of North America and on the National Register of Historic Places. The farm’s brushy, scrubby intermediate habitat, bordered by mature forests, is home to many thicket-loving bird species. This group will also visit a nearby large farm which includes a large lake and extensive fields. Limit 15. – Banshee Reeks — Saturday, May 11. Join Joe Coleman and Dori Rhodes at Banshee Reeks which was established as a nature preserve in 1999. In addition to a mile of Goose Creek frontage, Banshee has a great diversity of habitats on its 695 acres ranging from wetlands and ponds to mixed hardwood forests of oak and hickory to wonderful meadows laden with milkweed, goldenrod, and thistle. Numerous trails wind their way through these various habitats and are great for birding. – Deerfield Farm: Bobolinks and Other Grassland Birds — Friday, May 17. Join Linda Millington and Christine Perdue who, with special permission, will visit Deerfield, a historic property in Upperville, that annually hosts a population of nesting Bobolinks and other grassland birds such as Eastern Meadowlarks and Grasshopper Sparrows in its extensive fields that are not mowed until the end of the breeding season. There are also warblers in the surrounding woods. Limit 20. –Spring Big Sit at Morven Park — Saturday, May 18, 6 a.m.-8 p.m. Join Allison Gallo and Bryan Henson when the Loudoun Wildlife Conservancy hosts a Big Sit* style event. We’ll hang out near the Gatehouse at Morven Park from dawn until dusk counting birds. 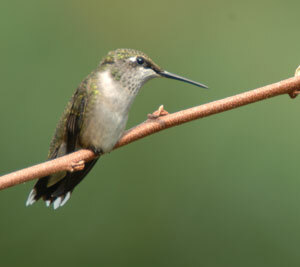 If you are interested in bird watching and aren’t sure how to get involved, come visit. If you want to hang out with other birders and socialize or you just want to check out Loudoun Wildlife’s presence at the Gatehouse, this a great opportunity. No registration required ­– we’ll be there all day counting birds and would love to see you stop by! We’ll have extra binoculars, field guides, spotting scopes, and knowledgeable counters/guides. (Rain date May 25). *A Big Sit is a type of event created by Bird Watcher’s Digest where birders count all the birds they can see from a fixed spot (a 17-foot diameter circle) over the course of 24 hours. The Birds of Loudoun — Saturday, April 28, 3 p.m. Stone Barn at Morven Park. 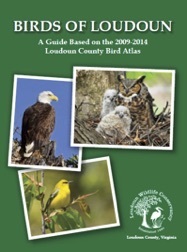 On April 28 the Loudoun Wildlife Conservancy will celebrate and make available for purchase the Birds of Loudoun; A Guide based on the 2009 – 2014 Loudoun County Bird Atlas. This book is a must-have guide for local birders and enthusiasts of all levels. 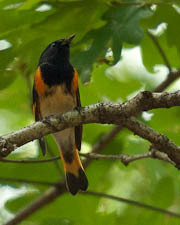 Written by local birders, the 261 in-depth species accounts emphasize the species’ connections to Loudoun. Stunning photographs, taken mainly by local photographers, bring the accounts to life. Atlas Coordinator Spring Ligi will describe the process behind this project and all the work the many volunteers and photographers, all of whom are invited to join us for this celebration, have put into making this accomplishment possible. Personalize your new book with autographs from the authors and photographers! Anyone interested or curious about this publication is invited to attend. Registration preferred but walk-ins are welcome. Birdathon: Help us raise money to underwrite the expenses of the Birds of Loudoun and our many birding activities and have fun at the same time! Follow up with your sponsors so their pledges come in by June 15. Want to support the Birdathon but don’t have time for a day in the field? — Make your own pledge here. You can make a flat contribution to the Birdathon or make a per-species pledge to a team and challenge them! For more information read about the Birdathon.